… until one day I was. Ugh, so hard, except it’s not. Once I learned the back jump control (R2 + looking back + triangle), it wasn’t hard at all. I just didn’t understand the controls, which I needed to learn. The game gave me a situation where I needed to figure it out so I could use it later on, which is just good game design. Once I got it, I got it for the rest of the game. Then I fought the colossus and fell into my old traps of thinking I couldn’t do it and that I wasn’t good enough to beat him. How was I supposed to beat this game if I’m stuck on the third boss? There are thirteen more after this! So I kept running, falling off, and eventually dying. But each time I died, I did a little better each time. This is a concept that comes up in our classroom a lot: Failing better. Every time I died, I was further along than I was before, and on the fourth round, I beat him and there was much rejoicing. Then I fought the fourth one and beat it the first time, and the same with the fifth. I was getting better. I could do this. As we say in the band room, when you change the way you look at things, the things you look at change. 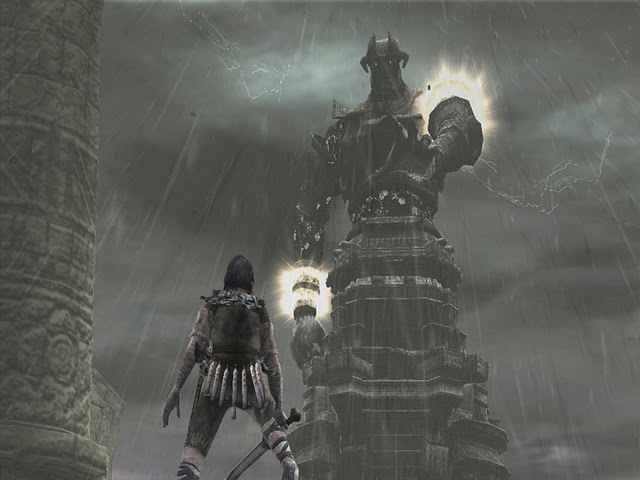 I still died at times as the game progressed, but I was dying less and less and getting better at figuring the puzzle of beating each colossus. The game got a lot more fun once I overcame my self-sabotage. If I reframed my perception and my approach, the game (or, at least, the playing of it) was entirely different experience. It was fun. It was exhilarating. 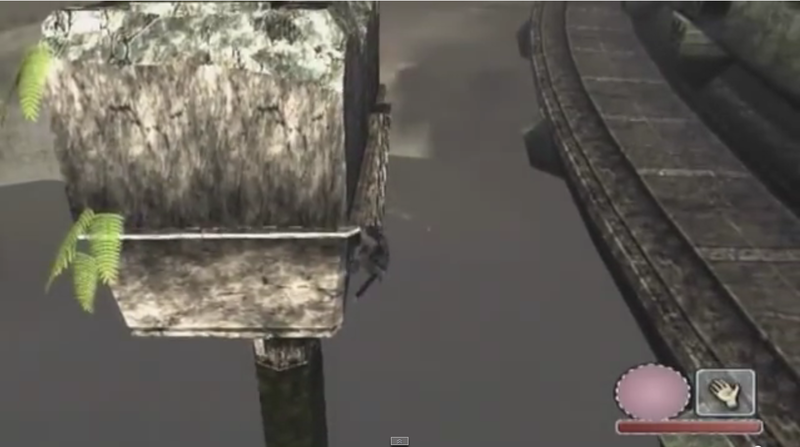 There many times where Wander was literally holding on for dear life and I was right there with him. Before I knew it, I was at the sixteenth and final colossus. I had reached the end of a game I never thought I’d finish. That’s where the music comes in. Ko Otani’s score is absolutely gripping and I would finally hear “Demise of the Ritual” in the game environment. A lot of the battle themes are moved around and reused, but not this one. This one only happens during the last colossus and, in the spirit of honesty, I never thought I’d hear it while I was playing. And hear it I did. By the end of the nearly two-hour battle, I was humming all of the inside parts and singing some of the beautiful English Horn writing whenever it came up. It’s a humbling experience to die five times on the final boss then win after hours of fighting, but I was failing better each time. On my third attempt, I hadn’t even reached him yet and had no idea how to proceed. It was one of those experiences where you just have no idea how you’ll ever succeed, where you collapse before you’re even close to the finish line. And we’ve all been there, right? I’M SO TIRED AND IT’S ONLY TUESDAY! …except that I can, and taking down SOTC showed me that. So I guess I’d better get on that! * Mostly, not every single game has pass/fail, like that ridiculous option to skip parts you can’t beat in L.A. Noire, which is garbage. 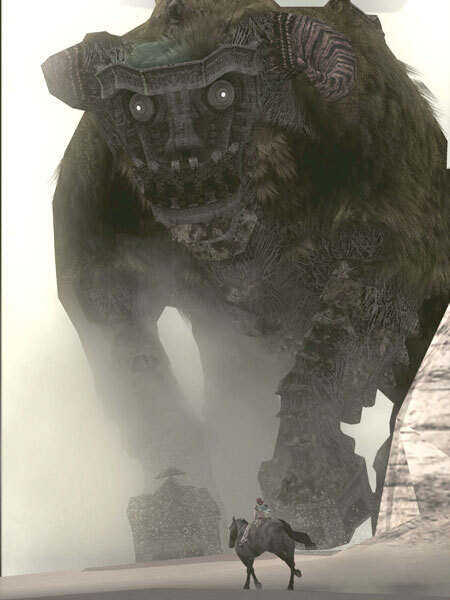 “~Revived Power~ Battle with the Colossus” from Shadow of the Colossus by Koh Otani, released in 2005. Oh well, I guess it’s already out there! Aren’t you pumped now? What a ride! I love so many things about this game’s score. There is an Into the Score episode on this game and it’s still one of my favourites to this day. The battle music in this game works in pairs – there is a piece that’s darker more ominous when we first begin our fight, then when we unlock the secret of the Colossus’s weakness, this upbeat and inspiring music plays. But this score is so much more than that. As one of the loneliest games that you may play, the absence of music becomes very prevalent as you and Agro traverse across the barren landscape. Lots of browns and sunken greens, faded colours and a pale sky. Ugh, crushing. I could write and write and write about this episode, but I’d mostly be rehashing the podcast episode. If you want to hear it, it’s down below! I can’t recommend this game enough.